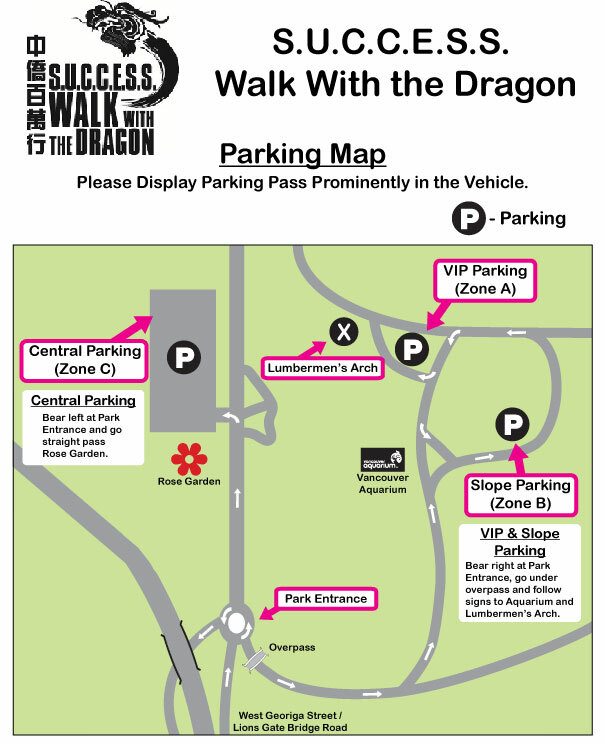 Walk day details (map, route information, schedule of events and parking) will be updated frequently. Please check back regularly! For your convenience Shuttle Bus Service is available at several designated locations to Stanley Park. Purchase or obtain tickets at your preferred boarding location ahead of time to guarantee seating. Price is $1.00 each way. Complimentary service for seniors 60 or above. Tickets are available in mid-June. Parking is extremely limited so we suggest taking transit, carpooling or using our shuttle bus service as an alternative. 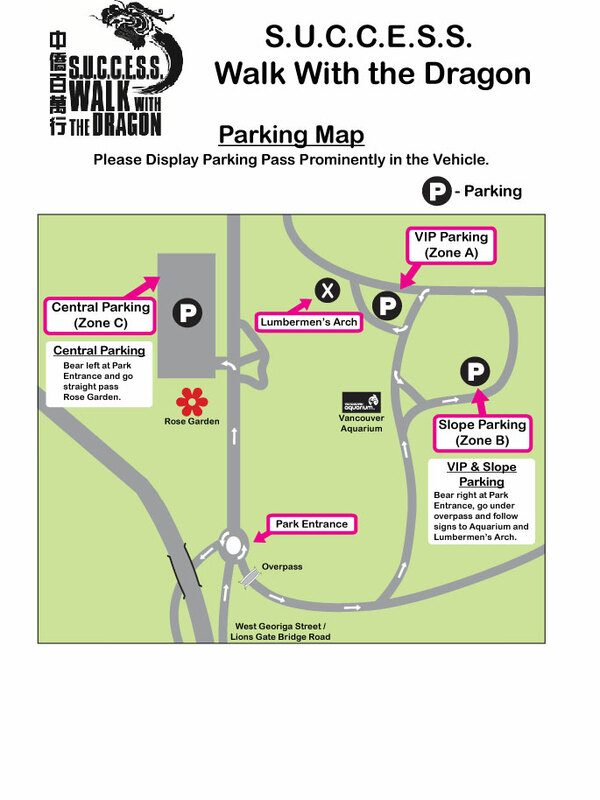 If you do require parking, parking is available in zones B or C as indicated on our site map. 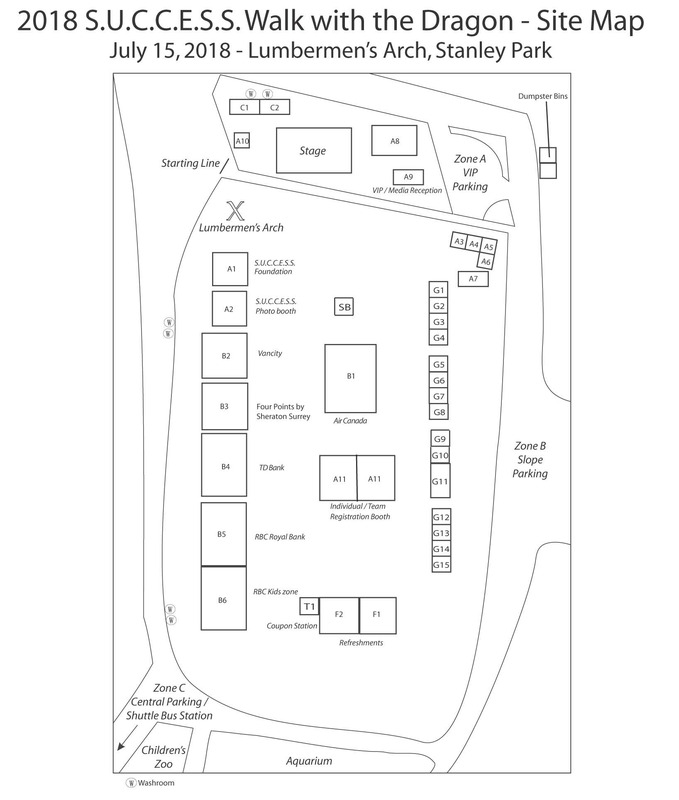 Medical services are located at the event site near the main stage. 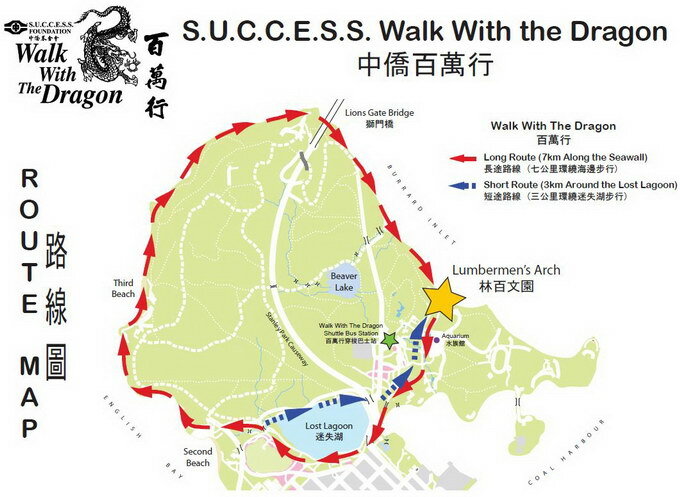 Check back soon for exact First Aid locations on our site map. All lost and separated people can check-in at the Lost & Found tent located by the main stage. The stage manager will make necessary announcements and stay with the lost party until they are picked up. All lost items and belongings will also be brought to this tent. Last minute registration and donations will be accepted until 8:30 am at the Registration and Donations tent.